It is generally accepted that a small amount of stress can help you to function effectively. It adds a sense of urgency to whatever you are doing, and helps to provide motivation. However, when most people talk about stress, they mean ‘too much stress’. Stress in these terms is generally a response to an inappropriate level of pressure: it may, for example, be triggered by not having enough to do, as well as having too much to do. Stress triggers several hormonal responses within the body, including your ‘flight/fight’ or adrenaline response. This is fine if you need to run away fast from a wolf, for example, but it’s not so great if you need to have a calm and effective meeting with your boss. It also has an effect on how you react to other people, and therefore your interpersonal relationships. 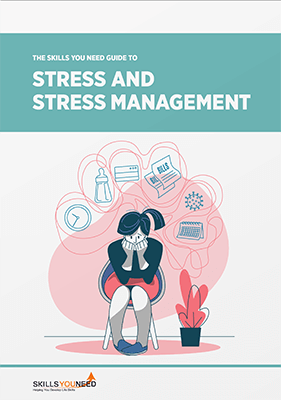 It is important to learn to recognise your stress triggers, and find effective ways to manage your stress to avoid it negatively affecting your life, or even making you unwell. For a good basic introduction to the topic of stress, look no further than our page What is Stress? This page explains how stress can arise, and how to recognise its signs and symptoms. It also suggests some events which may prove particularly stressful, including the death of a close friend or partner, divorce, marriage and job loss. One of the most stressful issues of all is a sense that you are losing control. It is therefore important to take control of your stress levels, and put in place an active system to manage them. Our page Dealing with Stress provides ten top tips on how you can do this. Avoiding Stress provides more detailed information about some ways that you can avoid and reduce the stress in your life. It also gives you some ideas about approaches to relaxation and self-help therapy. Stress is often closely linked to diet. A good diet can help you to manage stress better, and a bad diet can often exacerbate problems. For more about this, see our page on Stress, Nutrition and Diet. Finally, certain times of the year and events can also be more stressful. Family get-togethers, for example, can sometimes be characterised by a certain amount of tension. Christmas is often particularly fraught, thanks to a combination of expectations, tiredness, and the season itself. For more about staying calm at Christmas, see our page on Avoiding Stress at Christmas. While many life events can be stressful, there is also no doubt that workplace stress is a misery for many people. 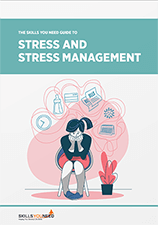 Stress at work can lead to problems not only for the individual concerned, but in others through working relationships, and even for the company itself when stressed employees come into contact with customers. There is more about this in our page on Workplace Stress. Workplace stress can also arise from Workplace Bullying. Like any other form of bullying, this needs to be addressed swiftly and effectively. One consequence of excessive workplace stress is burnout, an unpleasant feeling of being unable to cope with workplace pressure. Our page on Avoiding Burnout sets out ways that you can manage situations to avoid this condition. Our page on Work-Life Balance suggests ways to ensure that your life is balanced between work and home so that you avoid excessive stress. Our page on Relaxation Techniques introduces some ideas about how to relax, and some tips for learning to relax. Laughter as Therapy, an excellent way to help you relax. Self-help techniques can be extremely helpful in managing low levels of stress, and many people find them sufficient to enable them to manage quite high levels. However, if you or someone you know is really struggling with stress, you may need to seek professional help from a doctor or counsellor. Stress left untreated and unmanaged can be extremely damaging to your health. The Importance of Sleep | What is Anxiety?